Roberto Rovira will be presenting at the Mayors’ Institute on City Design on Friday, 23 September 2016, in Miami Beach. 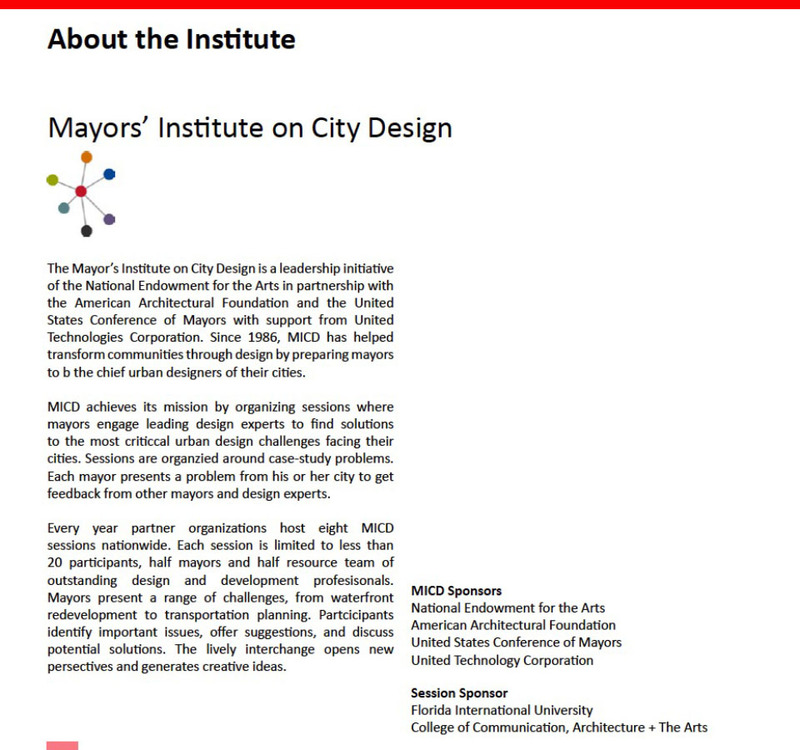 The Mayors’ Institute on City Design (MICD) is a leadership initiative of the National Endowment for the Arts in partnership with the American Architectural Foundation and the United States Conference of Mayors with support from United Technologies. Since 1986, the Mayors’ Institute has helped transform communities through design by preparing mayors to be the chief urban designers of their cities. MICD achieves its mission by organizing sessions where mayors engage leading design experts to find solutions to the most critical urban design challenges facing their cities. Sessions are organized around case study problems. Each mayor presents a problem from his or her city and gets feedback from other mayors and design experts.